Despite eBayers gobbling up bargains during Thanksgiving weekend and making the auction site the most visited Web site on Cyber Monday, eBay's traffic is down, reports comScore Inc.
Weekly traffic fell by 16 percent between Nov. 3 and Dec. 14, while Amazon saw an increase of 6 percent in unique visitors, according to the research firm. 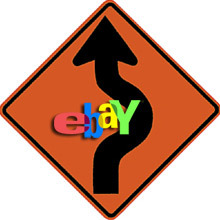 eBay's recent fee changes may be partially responsible for the decline. Cutting listing fees for fixed-priced items has made the site less of an auction venue and more like other online retailerswhich is confusing and turning off buyers, according to The Wall Street Journal. Now customers are going elsewhere to shop, and eBay sellers are feeling the pinch. Less traffic and added fees have dropped the average revenue per listing by 28 percent, reports Majestic Research. Despite this, eBay continues to be in high demand, according to Lorrie Norrington, president of eBay Marketplaces. "We are still three times the volume of the competition and driving hard to make aggressive deals in a tough environment," she says. Times are indeed tough, as online spending fell by 1 percent overall between Dec. 8 and Dec. 12 compared to last year, although Dec. 9 was the highest online spending day, reports comScore Inc. And online buyers are less content than they were a year ago with online merchants overall. In a recent survey by ForeSee Results, customers gave online retailers a satisfaction score of 75.6 out of 100 for the week Dec. 8 to Dec. 14nearly a 3 percent drop from last year. Retailers should take note of the decline, says ForeSee Results, because satisfaction breeds customer loyalty, sales and repeat buyers. Satisfied shoppers are 69 percent are more likely to go back Web sites they've used, and they're likely to tell their friends about them. "The more satisfied a customer is with a Web site, the better the opportunity for the retailer to impact their bottom line," says Larry Freed, ForeSee's president and CEO. Some eBay sellers may worry that the site's changes are making it hard for their buyers to know if they're looking at fixed-priced goods or auctions. Still, they will be among the thousands of sellers who offer specials to catch the eyes of potential customers and pick up sales. Sales between Nov. 1 and Dec. 12 reached $19.44 billion this year, down from $19.49 billion during the same time in 2007, ComScore reports. "After a very strong first week of December, e-commerce sales growth slowed somewhat during the most recent week," says comScore Chairman Gian Fulgoni. "However, the week still managed to see a few particularly strong spending days, with sales of $887 million on Tuesday, Dec. 9, surpassing Green Monday last year (Dec. 10, 2007) as the heaviest online spending day on record." Special offers, such as free shipping could help pull additional spending away from retail stores to the online channel, he adds. If you are still a seller, you should be thinking about transfering all your business to Auctiva or somewhere you can sell that is less restrictive. Then maybe as more people leave the shareholders will oust the current management at Ebay for poor performance.